Mumbai, January 17: It’s seldom noticed that children are given the liberty to do what they love, to pursue what they dream. Indian society is unfortunately bonded by several unwanted questions, but this time not for too long. It is because the Maharashtra government has given a green signal to Open SSC board, an initiative that encourages students to pursue schooling from home. Schools are considered as the second home for a child, and imagine what if the child gets the benefits of the second school in his/her first home? Homeschooling is a concept that is still very few to Indians and some aren't hesitating from giving it a go. Highlighting the new initiative, Education Minister Vinod Tawde in a tweet informed that the Maharashtra Rajya Mukta Vidyalaya Mandal is a platform for athletes, artists, Divyang, seniors and anyone who wishes to continue their academic journey while pursuing others interests and obligations surpassing all hurdles. The Open SSC board initiative is an attempt to help students from Class 5 to Class 12 to benefit the homeschooling. However, the application process will be open till January 31 and the students who register now will be able to appear for exams in six months. Students in standard 5 (age 10) and standard 8 (age 13) will have to select subjects from three different groups to study a total of five subjects. Study of two languages from the language set and Math are compulsory for both the classes. The education department has set up 543 help centers across the state where students and parents can submit original documents such as their identity proof and school leaving certificate, pay the fee and collect books. While the initiative is still at a starting phase, it's good to see a refreshing change in the education system in our country. Many students quit their passions when they enter classes 9 and 10 since they are unable to juggle their academic requirements and rigorous schedules. This initiative will help in changing that since students will now have more flexibility. 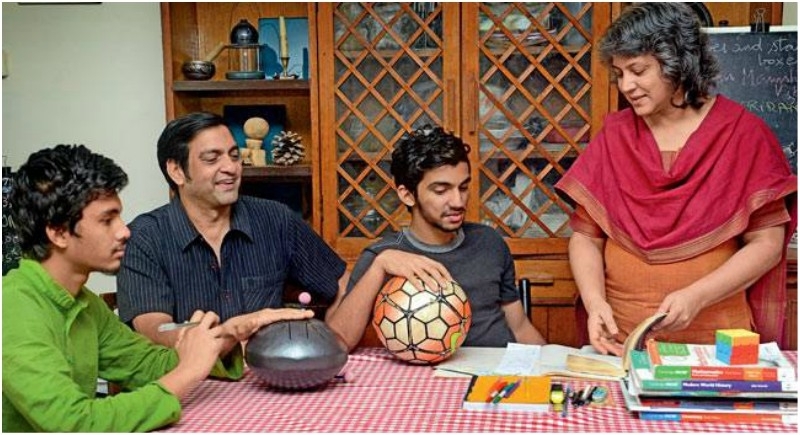 Remarkably, this initiative will apply to any sportsperson, artist, or a physically-handicapped candidate. This new move is sure to bring cheer and respite for many parents who are home-schooling their children for various reasons.